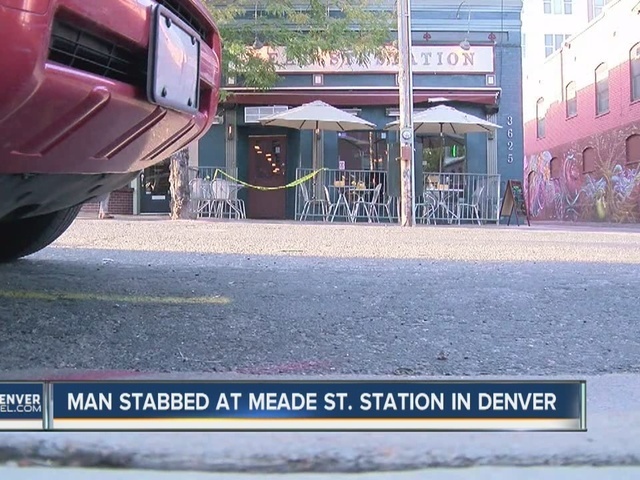 DENVER - Police are looking for a man who slit the throat of a customer at a Denver restaurant Tuesday afternoon. The victim was seriously injured. It happened at the Mead St. Station Bar and Grill on West 32nd Avenue near Lowell Boulevard in the West Highlands neighborhood. Paul Burke, the owner of the restaurant, told Denver7's Jaclyn Allen that the male victim is a regular and was sitting at the bar at the time of that attack. Burke said a bartender saw the suspect walk in and immediately attack the victim from behind. "He honestly thought he was hugging the other customer, and turns out, he had a knife in his hand and cut his throat," said Burke. "It was terrifying." 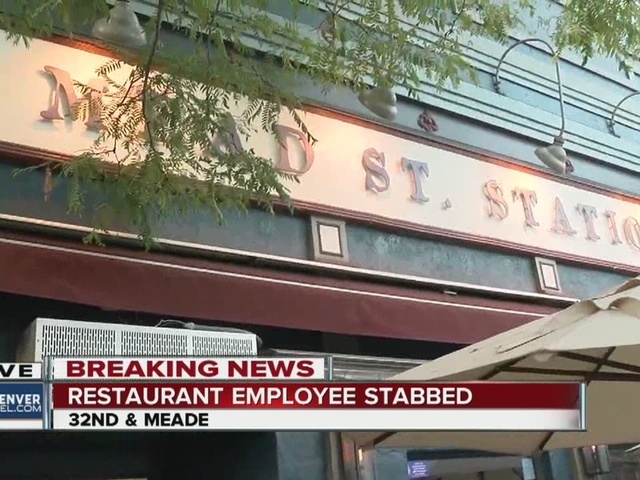 The owner said the attack appeared to be random and not premeditated, but the suspect has been seen in neighborhood bars and restaurants a few times. "There was kids in the restaurant, and it was just a very terrible, random act of violence," said Burke. "Hopefully, they catch the guy as quickly as possible." Burke said police are currently reviewing surveillance camera footage of the attack. Police tweeted that the suspect is a 6'3" tall black male and weighs approximately 200 to 250 pounds. He was wearing a green shirt and khaki shorts at the time of the attack.